Carmyllie Parish Church was built in 1609 on the same site of St Mary's Chapel where the monks from Arbroath Abbey assisted in the religious services. During the seventeenth century there was turmoil between the Reformed Presbyterian Kirk and the Episcopalians, the principal heritor(Earl of Panmure) being the supporter of the latter. After the Jacobite rebellion in 1715, church affairs became more settled with ordained Presbyterian ministers. The Church Manse, as stands today, was built in 1820. In 1843, after the Disruption, a Free Church and manse was built at Greystone village. 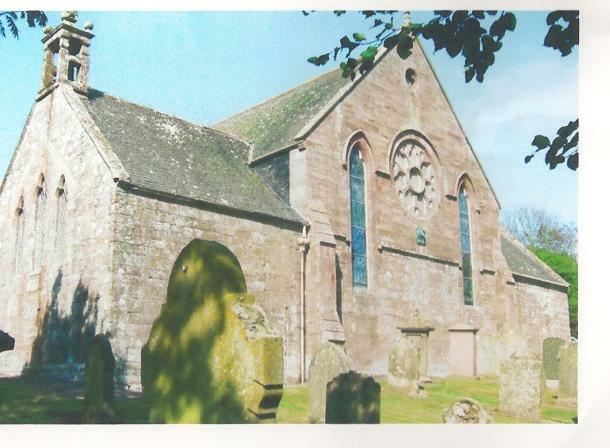 With the rise in Parish population, there was support for two churches for another hundred years. 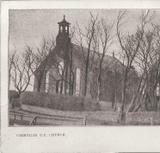 In 1943 the Free Church closed and the manse was sold and remains a private residence. Around 1874, the Parish Church underwent a refurbishment when the doors facing east and west were blocked and a new gallery was built above a wider aisle, facing north, leading to only one entrance. In 1983, after the last Carmyllie Parish minister (Rev Alex Spence) retired, the Kirk was linked to Arbirlot and Colliston, and the work of the minister included preaching three sermons on Sunday. Carmyllie Church manse was sold and a new manse was built at Arbirlot. In 2003 Colliston joined with Friockheim and Inverkeilor while Arbirlot and Carmyllie remain linked.